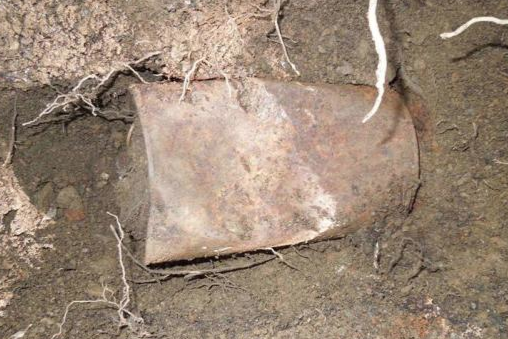 Deep Search Metal Detecting Club: Not Just Any Old Can You might Find. 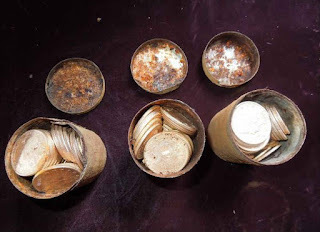 The 1,400 gold pieces, dating to the mid- to late 1800s and still in nearly mint condition, were discovered buried in eight decaying metal cans on the couple's land in Northern California's so-called Gold Country, named after the state's 1849 Gold Rush.last April, said coin expert David McCarthy of currency firm Kagin's. 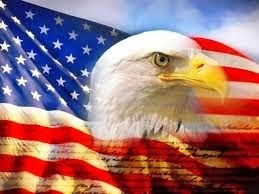 McCarthy said. "I've never seen this face value in North America and you never see coins in the condition we have here." 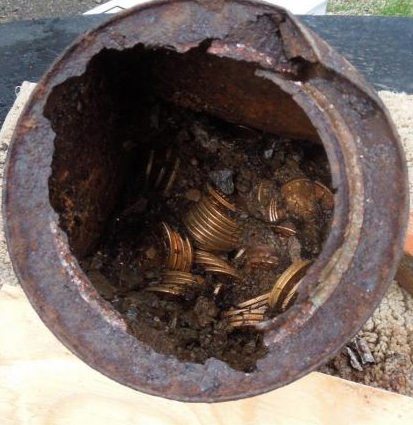 Also unclear is who hid the gold pieces, which were minted between 1847 and 1894, in a variety of 19th-century metal cans on land that eventually became part of the couple's yard. His company took what became known as the "Saddle Ridge Hoard" to an independent coin-grading service, which found that it was comprised of nearly 1,400 $20 gold pieces, 50 $10 gold pieces and four $5 gold pieces. 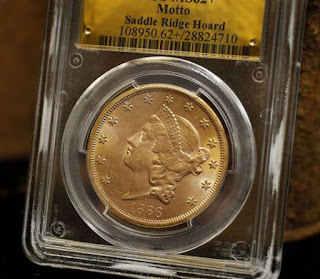 One of the coins, a so-called 1866-S No Motto Double Eagle, is said to be valued at $1 million on its own.